Last week was the worst on Wall Street for 10 years. If the Dow and the S & P 500 end in their current state, it will have the worst December since 1931 during the Great Depression. Bloomberg says the S & P 500 is "a bad session" from the end of the decade. long bull market. Between the lines: Against this backdrop many were open in the financial world when Treasury Secretary Steve Mnuchin tweeted without actually explaining that yesterday "has one-on-one discussions with the CEOs of the six largest banks convoke the nation. " "The CEOs confirmed that they have sufficient liquidity," the statement said. Justin Wolfers, Professor of Economics at the University of Michigan, tweeted : "If you wanted to create financial market volatility, you would do so." "Mnuchin commands to calm markets makes a bad situation worse." The Big Picture: Almost everything that goes on in the world is bad for the economy, say Felix Salmon and Dion Rabouin in Axios Edge, our weekly eye for business. An incomplete list: Trump attacks the Fed … the trade battle with China … China's growth is slowing down … a possible Brexit catastrophe … slowing German and Italian growth … the French Presidency under victories.
" 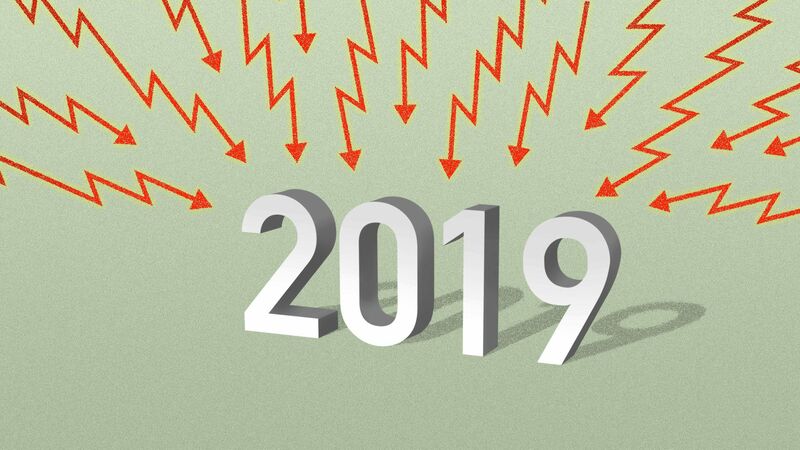 2019 begins with a partial government downturn, fragile markets and leadership vacuums in the White House, the Pentagon, the Department of Justice, the United Nations and the Home Office – at least "
Another worry, according to Dan Senor, a fund manager and former fund manager advisor to spokesman Paul Ryan and senator-elect Mitt Romney: "If we had to fight a real financial crisis in 2019, we will be in much harder waters than in 2008." "In & # 39; 08, sovereign governments support the crisis in the markets with exceptional fiscal and monetary measures their ability to do so was undisputed, "added Senor. "2019, different story." "2008 had … the people who took care of the store … like Hank Paulson, Ben Bernanke, Josh Bolten, Steve Hadley, Condi Rice, Bob Gates and Real MPs all had the implicit confidence of the President and the markets – and worked together to prevent a catastrophe. " Jon Hilsenrath, The Wall Street Journal's Global Economic Editor writes: "Most private economists expect US growth to slow in 2019. … Global economic growth accelerated In 2017, synchronized with 2018, as the US continued to accelerate, Europe, Japan and China slowed. " Be smart, by Axios Mark's editor Dion Rabouin:" Hero, because all over the world now is terrible. And he notes this dissonance: "Everything is terrible, but the US data is still good, so most traders and fund managers see this as a buying opportunity. … but the Algos do not buy it. PS A Little Perspective from Bloomberg: "Even after dropping 17 percent in the past three months, the S & P 500 has risen by 18 percent since Election Day."